It’s been a long time and the whole “no one needs to know” thing worked for nearly 20 years, but the time has come. Everyone needs to know what a sweetheart my husband is. We have weathered a number of storms and we even had a few close calls with actual tornadoes when we lived in Austin, Texas (Stay weird, y’all! It’s so beautiful on you. ), but we have been together for almost 20 years and even though we both would like to change approximately one million things about each other on a daily basis (as every married couple will NOT tell you – Hah! Hi! Have you met me? We tell the truth ’round here. All you have to do is ask or not ask, as it were.) we wouldn’t change a single thing. On our first date we went to the movies to see “Twister”. Yup. I own a copy on Blu-ray. OH YES I DO! Anyway, where was I? Oh yes! First dates. 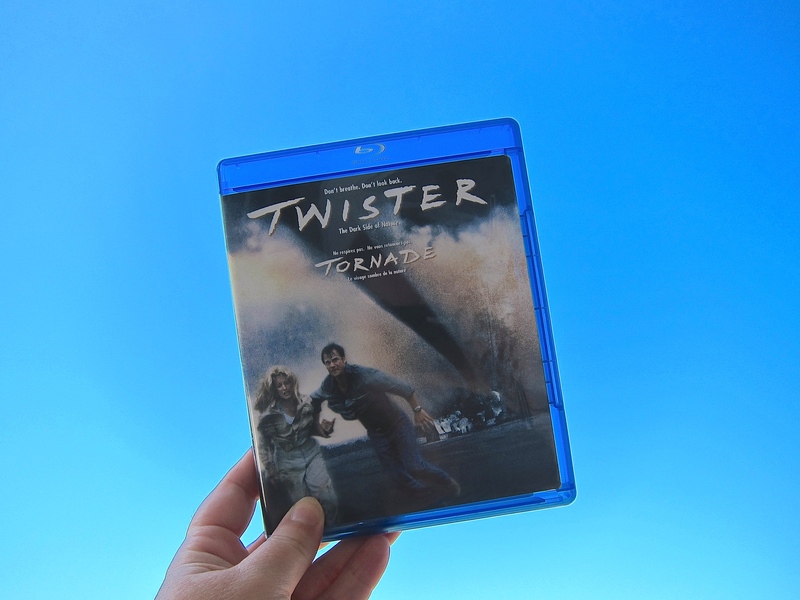 This was ours and though to some people it might seem like a really bad omen to go to a disaster movie about a divorcing couple on a first date – and furthermore to move to a city in a state where actual tornadoes happen – clearly we fear nothing, because it’s been great! Twister will always have a very special place in my heart. Consider this song. We did almost nothing in it in the traditional sense of having the “whole darn thing”, but we have a little girl, a little boy, a tall, dark (haired), handsome man and we are all still busy making big plans. We have thus far survived the storms of life – though we almost never go chasing them on purpose – and we are happy. Okay. Okay. Maybe, if you are pressing, we would all love a little Benji (or Lassie, or Corky, or WishBone, or Murray) to call LeRoy, but on that point, no one needs to know right now.